Information graphics, a.k.a Infographs seem to be getting more and more popular these days. And why not, they are fun to look at, and good infographics convey useful data in a way that's easy to understand. To help you get your 2014 Facebook marketing strategy off to an excellent start, I've round up 7 infographics covering latest stats, tips and advices about Facebook marketing. This visual from mashable looks at Facebook key updates and its number of monthly active users, to give you a clear picture of how the social giant became what it is today. 1 key highlight is: At the end of 2013 Facebook has 1.23 Billion users. 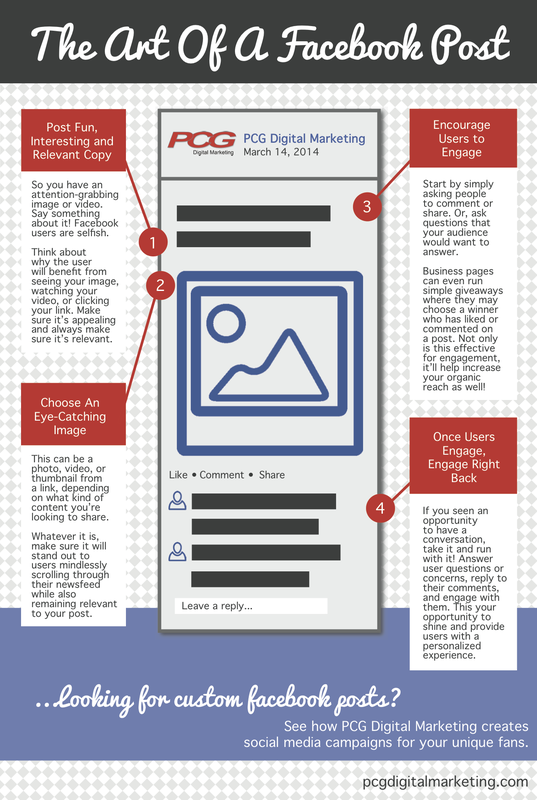 Crafting effective marketing messages on Facebook is both an art and science, this chart from pcgdigitalmarketing gives some tried and true guidelines that help you create engaging posts. One key takeaway is: start by simply asking people to comment or share. Or, ask question that your audience would want to answer. Facebook page admins must share content that is more visual and less text-heavy. 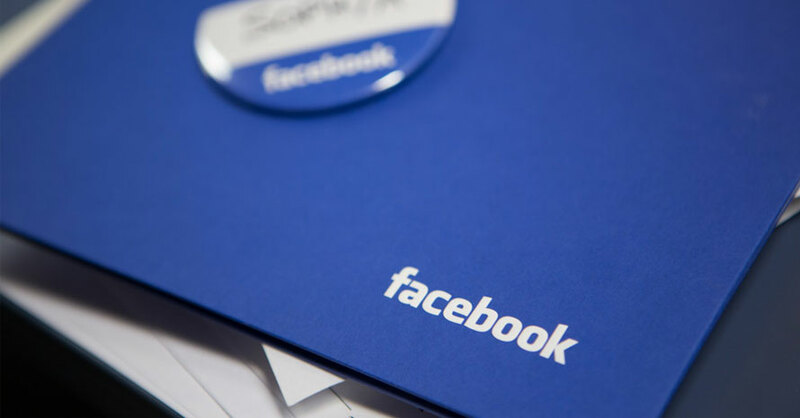 Brand Networks' infographic proposes some best practices for engaging Facebook content. Speak in the first person and limit copy to less than 100 characters. 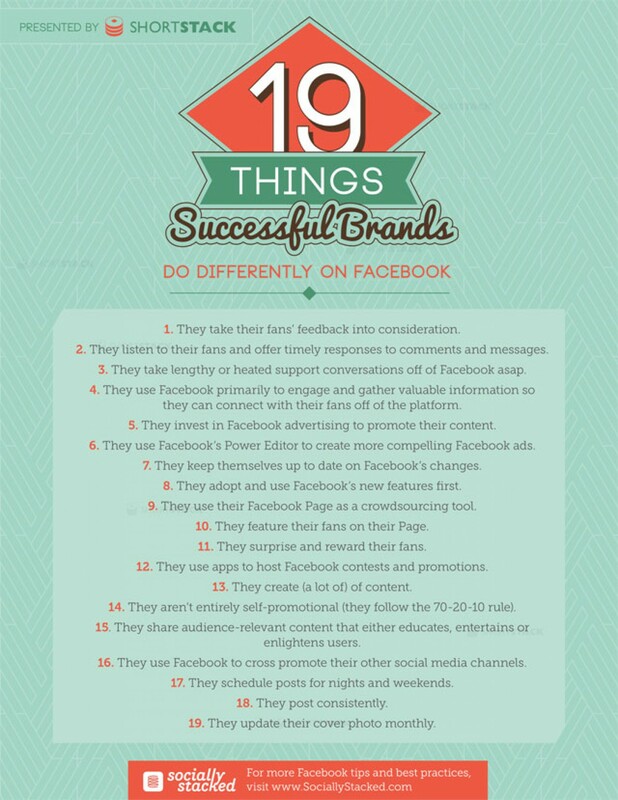 This visual from ShortStack team packed with insights into how successful brands are leveraging Facebook to its fullest potential. Like: They listen to their fans and followers, and offer timely responses to comments and messages. This infographic created by Mycleveragency proposes 3 steps that will help you create hi-res Facebook image for all devices. Set your PS document to 800px by 600px, always use 72 dpi resolution and save your image as a .png format. This infographic designed by 909c aims to provide new Facebook advertisers a simple overview of how does Facebook targeting work, why should you choose FB, what kind of ad best fits your purpose.